I seldom critique films here, preferring to devote myself to reviewing theatrical productions (with occasional forays into restaurants and travel), but from time to time I do make an exception. This is one of those times. I just saw Woody Allen’s latest film, Midnight in Paris, and I loved it. Admittedly, since I am a fan of Woody Allen’s films to begin with, I was predisposed to enjoy this film from the very start. But I enjoyed it even more than I had expected. For me, this film pushed all the right buttons. To begin with, I have long been interested in literature, art and music, particularly in the writers of the 1920s and 1930s and the painters both of that period and of the Belle Epoque period of the 1890s. And this film is a delightful send-up of some of the greatest writers, artists and musicians of those times, including Hemingway, Scott and Zelda Fitzgerald, Gertrude Stein, Picasso, Matisse, Dali, Toulouse-Lautrec, Bunuel and Cole Porter (to mention but a few). Moreover, all of the action takes place in Paris (one of my very favorite cities) over a period of more than a century. Allen’s personal life may be far from admirable, but there is no denying his genius as a cinematographer and, in the past, whenever he has taken it into his head to create a film expressing his love for a particular city, the results have been spectacular. It worked when he did it for Manhattan and again for Barcelona. And it works again for Paris. In the film, Gil (Owen Wilson), a successful Hollywood script writer but one with higher literary aspirations to be a novelist, has traveled to present day Paris together with his fiancee and her family. It is there that he bemoans the fact that he had not lived nearly a century earlier, during what he thinks of as the “Golden Age” of literature - that time in the 1920s when so many American expatriates (as well as Brits and Spaniards and Italians) descended on Paris to make it the literary and artistic hub of the world. And it is then that he is miraculously transported back in time to that very age, where he meets many of his bygone literary and cultural heroes (including all of those I mentioned above). Once there, however, he discovers that to one who actually lived in Paris in the 1920s, it might not have seemed such a “Golden Age” after all. Indeed, to one who lived in Paris in the 1920s, perhaps it was the Belle Epoque period of the 1890’s that was the real “Golden Age.” (And Gil does get to time travel to that period too.) And to one who was truly alive in the 1890s, what was his “Golden Age”? The Renaissance, perhaps? Indeed, might it not simply be the case that the idea of some prior “Golden Age” is really no more than a fantasy or, worse yet, evidence of some dysfunctional mental disturbance, reflected in one’s inability to dwell and cope successfully with one’s own present day reality? So there is a bit of a message in the film too. But don’t take it all too seriously. When all is said and done, it’s really just great fun. I think you’ll enjoy it. You Never Can Tell is one of George Bernard Shaw’s lesser known-works, relatively infrequently performed in the United States, which is why we owe a special debt of thanks to the exceptionally talented cast now bringing it to life at the Gloria Maddox Theatre at T. Schreiber Studio and Theatre. Originally born out of a bet in 1897 that Shaw could not write a seaside comedy (a popular theatrical genre in England at that time), the play succeeds in offering both a comedic and insightful look at the institutions of marriage and the family, the “war between the sexes,” the “modern woman” of that time, class stratification – indeed, all of the issues that Shaw focused so much of his attention on throughout his extraordinary literary career. Of course, Valentine ultimately relents, joining the Clandons for lunch and bringing Mr. Crampton along with him (and, surprise, surprise, guess who he turns out to be?). It all gets sorted out in the end, with the able assistance of Walter (Peter Judd), the charming and wise waiter who cares lovingly for the Clandons; Mr. Bohun (Edwin Sean Patterson), Walter’s son who, despite England’s strict class distinctions, has risen to the level of Queen’s Counsel; and Mr. McComas (Randy Miles), Mrs. Clandon’s friend and solicitor. While the plot of the play isn’t much, Shaw uses it to full advantage in exercising his acerbic wit and that alone would make seeing this play worthwhile. In addition, however, the cast of this production is terrific across-the-board, providing the audience with a most delightful afternoon or evening’s entertainment. This is an Off Off Broadway production, which often requires some cutting of corners due to financial constraints, but that clearly wasn’t the case here. In fact, if you don’t count the number of seats in the audience, you’ll be convinced that you’re attending a major off Broadway production. The sets and costumes are lush, worthy of a full blown Off Broadway production, and the acting and directing is as good as it ever gets. If you do get to see The Ryan Case 1873 (see my last post) one of these Saturdays (and I hope you do), here are a couple of suggestions of where you might grab a bite to eat both before and after the show. The day we went, the play began at the Church of the Transfiguration on the corner of Mott and Mosco Streets at 3PM. Shortly before that, we stepped into Bo Ky Restaurant at 80 Bayard Street (between Mott and Mulberry Streets) and just a couple of blocks away from the church for bowls of what I consider to be the best Vietnamese Seafood Noodle Soup in Chinatown, chock full of calamari, shrimp and fish balls. The price is right, too, at $5.25 a bowl. There are lots of other soup choices on the menu and a limited number of non-soup choices as well and I’ve tried a number of them, but the Seafood Noodle Soup remains my favorite. With a little time still left to kill before the show was scheduled to start, we strolled over to the Chinatown Ice Cream Factory, located less than a block away at 65 Bayard Street (between Elizabeth and Mott Streets) for ice cream cones. Our toughest decision was picking a flavor: the choices here include many we’ve seen nowhere else, including Avocado, Black Sesame, Durian, Ginger, Lychee, Coffee Brandy, Pumpkin Pie and Wasabi. But whatever you choose, I don’t think you can go wrong. After the show, we weren’t yet ready for dinner but we thought we could do with a small snack. And there, just steps from the church at 106 Mosco Street (between Mulberry and Mott Streets) we found just what we were looking for: a tiny hole-in-the-wall snack bar, most appropriately named Fried Dumplings, that sells a plate of five fried dumplings for just one buck. The restaurant (if you even can call it that) has a very limited menu including four pork buns that are also priced at a buck, but in our experience the only thing you really can be sure they’re going to have on hand are the dumplings (which really are a steal), so try not to have your heart set on getting anything else. The Ryan Case 1873 is a politically incorrect production in the best tradition of Norman Lear’s iconic television series “All in the Family, with equal-handed disparagements of the Irish, the Italians, and the Jews. If you’re particularly ethnically sensitive, you’re sure to find something in it to offend you, but for those with a healthy sense of humor, this is an under-the-radar show not to be missed. 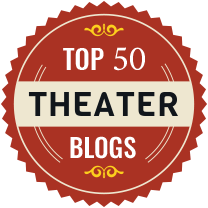 We attend the theatre a lot – not just on Broadway but off Broadway and off off Broadway as well. Yet we find that we almost always tend to do so in relatively established venues, that is in real theatres with clear demarcations between actors and audiences where there are stages for the actors and seats for audience participants. Last Saturday, however, we opted for something a little different: we attended a production of The Ryan Case 1873, an interactive, theatrical murder mystery that blurred the traditional distinction between cast and audience. Presented by Carlo D'Amore and Live IN Theater Productions, the play was performed at the Church of the Transfiguration and in the alleys, parks, and streets of Chinatown where audience members discovered that they, themselves, had somehow become an integral part of the production. The show began for us as soon as we walked through a “hidden” side entrance to the church on Mosco Street in Chinatown (and through an apparent time warp, worthy of a Jack Finney novel), emerging in “Police Headquarters” in the notorious “Five Points” area of downtown Manhattan in 1873. It was there that we discovered that we, together with another 30-odd audience members, had become “rookie detectives” who were about to work in concert to help solve a murder case based on a real unsolved crime that had shocked the community 138 years earlier. During our subsequent two-hour journey through the byways of Chinatown, we searched for clues and encountered and interacted with a number of unusual characters from New York City’s past, all aptly garbed in appropriate period costumes, and all connected to the case in one way or another, as we tried to solve the mystery. The case involved the unexplained deaths of Nicholas Ryan and his sister Mary in the boarding house in which they resided in 1873, he, having been stabbed, and she, having been strangled. Was it a murder-suicide? A robbery gone awry? A crime of passion? In seeking to discover the truth, after being briefed by a stereotypically Irish Chief of Police, we wandered through the streets of Chinatown (which had miraculously become the streets of the “Five Points” area of a century ago) where we encountered and questioned Patrick Burke (Nicholas’ and Mary’s alcoholic landlord); Mrs. Burke (Patrick’s battered wife); Sally Watkins (a neighborhood streetwalker and Mary’s friend); Benjamin Ryan (Nicholas’ and Mary’s brother and employer); an “Israelite,” scorned by the community but befriended by Mary; and a one-eyed “honest” cop. I must say that our expectations had not been very high when we opted to attend this production. At best, we thought we might be mildly entertained. And, at worst, we reckoned that we’d just kill a couple of hours in Chinatown (a neighborhood that we generally enjoy visiting anyway, if only for the food!). But we were very pleasantly surprised: the show turned out to vastly exceed our expectations and I’d enthusiastically recommend it to anyone seeking an afternoon of unusual and offbeat fun in a great neighborhood. The play was intelligently structured and well-written, providing for a variety of reasonable Rashoman-like interpretations of what might actually have occurred. The actors’ costuming was delightful, reinforcing the sense that we had indeed traveled back in time to the post-Civil War period in New York. And the entire cast was absolutely terrific, interacting with members of the audience by elaborating on their roles with clever improvisations that further enhanced the overall experience. For those looking for something different to do on a Saturday afternoon, here is one show I can heartily recommend! Several of George Bernard Shaw’s plays have been turned into musicals, with greater or lesser degrees of success. Arms and the Man became A Chocolate Soldier, Caesar and Cleopatra was resurrected as Her First Roman, and Pygmalion was converted into one of the greatest musicals of all time, My Fair Lady. Now, Shaw’s Candida has joined the pantheon as A Minister’s Wife, currently being staged at the Mitzi E. Newhouse Theater at Lincoln Center, with book by Austin Pendleton, music by Joshua Schmidt and lyrics by Jan Levy Tranen. In sum, it provides a pleasant evening’s entertainment. But this sure ain’t no My Fair Lady. The story line of A Minister’s Wife, which is relatively simple and straightforward, doesn’t stray much from that of Candida, although the musical is somewhat shorter than the straight play was and it does eliminate one of the six characters in the original production: Candida’s father, Mr. Burgess. In both Candida and A Minister’s Wife, the plot revolves around the Christian Socialist Reverend James Mavor Morell (Marc Kudisch), his wife Candida (Kate Fry), and Eugene Marchbanks (Bobby Steggert), a young poet who becomes enamored of Candida, ultimately demanding that she choose between him and her husband. The other two characters in A Minister’s Wife are Miss Proserpine Garnett (Liz Baltes), Morell’s secretary who is in love with her employer and Reverend Alexander Miller (Drew Gehling), Morell’s Curate. Mr. Burgess, the character from Candida left out of A Minister’s Wife, was Shaw’s amusing caricature of a greedy capitalist and eliminating him from this musical version of the play doesn’t necessarily work to the musical’s advantage and may have been a mistake. The book by Pendleton is satisfactory but adds nothing to Shaw’s original work. The score by Schmidt is good, more opera than musical theatre; one of my companions at the production I saw (whose taste in music I much respect) liked it even more than I did, considering it truly terrific. The lyrics by Tranen, however, we all agreed were uninspired and readily forgettable. Both the acting and singing performances were acceptable but far from outstanding and the small orchestra (piano, violin, cello and bass clarinet) stationed behind the stage were more of a distraction than an enhancement. All in all, turning Candida into a musical didn’t really add to the production and I much prefer the original straight play. The Shaughraun, one of more than 150 plays written by Dion Boucicault over a century ago, is now being revived in a cheerful production at The Irish Repertory Theatre. Boucicault was a master of melodrama and The Shaughraun, like many of his other works, is a swashbuckling romantic tale of honor, bravery, love and betrayal. To be sure the plot is formulaic and the characters stereotypical. But notwithstanding those shortcomings, the play still provides an afternoon or evening’s entertainment for the entire family, due both to the fact that swashbuckling, romantic comedy-dramas of this sort are just plain fun and to the exceptional talents of several of the cast members in this production. Here’s the recipe for the play. Take three lovely Irish colleens, each enamoured of a different man: (1) Arte O’Neal (Katie Fabel), who is in love with Robert Ffolliott (Kevin O’Donnell), an Irish patriot, sentenced as a Fenian; (2) Moya Dolan (Emma O’Donnell), who is in love with Conn, The Shaughraun, a fiddling’, poaching vagabond but a loyal friend to Robert who he has recently helped escape from the Australian penal colony to which he had been remanded; and (3) Claire Ffolliott (Allison Jean White), Robert’s sister, who is in love with Captain Harry Molineux (Mark Shanahan), the British officer in charge of a military unit sent to recapture Robert. Combine boisterously and plump them all down in County Sligo in 1867. Now add in: a villainous Squireen, Corry Kinchela (Sean Gormley) who has betrayed his trust to care for Arte and Claire in Robert’s absence; a traitorous scoundrel, Harvey Duff (Tim Ruddy) who bore false witness against Robert which led to Robert’s conviction in the first place; Conn’s doting mother, Mrs. O’Kelly (Terry Donnelly); and an honorable parish priest, Father Dolan (Geddeth Smith) who is also Moya’s uncle and who disapproves of her relationship with Conn. Season with assorted soldiers, policemen, henchmen, mourners and a dog. Add a keener’s wail and an Irish step dance to taste. Toss thoroughly, sit back, and watch what happens. What happens, of course, is just what you’d expect and I don’t think it will spoil the play a bit for you if I tell you that, in the end, Robert is freed, the bad guys all get their come-uppances, and the young lovers are all appropriately matched up. All well and good and lots of fun although I was mildly disappointed. I had expected an interesting conflict to develop as Claire fell in love with the man seeking to capture her brother and as he fell in love with her, and then I thought that the play’s success would depend upon its resolution of that conflict. But that’s not what happened. After setting up the potential for such a conflict, Boucicault seemed to have just swept it under the rug: no conflict developed, no resolution was required and the play turned out to be little more than a light hearted romp. By contrast, that was not the case with Arrah-na-Pogue, another of the three Boucicault plays that are known collectively as the “three Irish plays” (the other two being this play, The Shaughraun, and The Colleen Bawn). I’ve never seen The Colleen Bawn but earlier this year I did see a splendid production of Arrah-na-Pogue at The Storm Theatre (see my review of March 11, 2011) and I thought that Arrah-na-Pogue was intrinsically a much better play than is The Shaughraun. Arrah-na-Pogue was just as romantic, just as melodramatic, and just as adventurous as The Shaughraun but it had the added advantage of being a much more intricately structured work and I found it considerably more satisfying. None of that, of course, is the fault of the cast of this production of The Shaughraun, all of whom perform delightfully. Patrick Fitzgerald, who played the title role (which had been played to great effect by the playwright himself in the original production more than a century ago), was absolutely terrific. So, too, was Allison Jean White who, in the role of Claire Ffolliott, succeeded in expressing a whole range of emotions not only in words but through the sinuous, balletic movements of her body.